If you’re not a homeowner, you probably have rose-tinted visions of wandering around your castle with an air of smugness and achievement. There are, of course, a wealth of benefits associated with owning a home, but don’t let anybody fool you into thinking that it’s all plain sailing. Ask anybody who has recently bought a house, and they’ll probably set you straight. Buying a house is a bit of a rollercoaster ride, and you may feel like you’ve ventured into unchartered territory unarmed. If you’re hoping to become a homeowner for the first time, here are some essential tips to see you through. When you go into a shop, you put what you want on the counter, pay your money, take your change, and off you go. Sadly, buying a house isn’t anywhere near as simple. In fact, most people say that buying property is one of the most stressful things you can do. The problem is that there are legalities involved, and there are lots of stages where a deal can fall through. It’s possible for buyers and sellers to pull out, and you may encounter problems that make you think twice, especially after a survey has been conducted. When you acquire a house, it is legally transferred to you, and this means that you need legal advice along the way. You’ll also have to fork out for solicitor’s fees, as well as paying stamp duty, survey fees, and of course, the agreed purchase price. If you don’t know anything about the process of buying a house, don’t worry. It’s not something most of us tend to think about until we get to a point where we can consider taking that first step onto the ladder. Read up on what’s involved, make an appointment with some mortgage advisers, and get some quotes for solicitors fees for buying a house for a first-time buyer. When you find a solicitor, they will take care of the process from the moment you make an offer to the point where the property is registered in your name. This is the most important thing to do before you start looking for your first home. You can get a rough idea of the amount of money you could borrow by using online mortgage calculators, but it’s best to have a solid figure in mind. 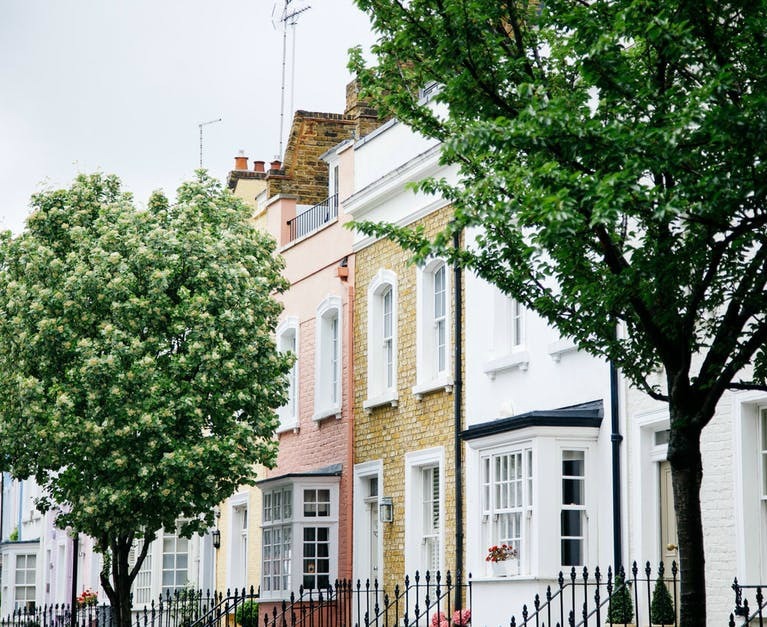 Even small variations in estimated and accurate figures can make a massive difference to the type of property you could afford. Before you begin looking properly, see some mortgage advisers, talk through some options, and get some offers on the table. Spend time looking into the figures, and work out which mortgage is best for you. Once you know how much money you can borrow, this will help you set a maximum budget. When you’re searching for a new home, bear the budget in mind at all times. Sometimes, you may have a little room for manoeuvre, but if you don’t, resist the temptation to look at houses that are over budget, as this will only result in disappointment. If you look at properties that require work, don’t forget to factor in additional costs. You may be saving money on the purchase price, but if you need to work urgently, this could tip you over. It can be hugely exciting to buy your first home, but it’s always wise to take some words of warning on board. When you’re narrowing down your options, don’t rush into making decisions or settle for anything that isn’t perfect. You’re making a significant investment, and this decision will impact your future, so if you don’t love a house, don’t buy it. If you have an offer accepted, try not to get too carried away, as a sale isn’t finalised at this point. Unfortunately, lots of people get their hopes up, and then things don’t go to plan. Finally, pay attention to surveys. If there are red flags, which are going to end up costing you a fortune, it’s worth reconsidering your offer. Buying a house is never easy, but it can be a particularly daunting and challenging process if you’re a first-time buyer. If you dream of owning your own home, there’s a lot to think about. You’ll need to consider your financial situation carefully before you even start booking viewings or searching for your ideal home online. Take advantage of expert help, and make sure you’re aware of exactly what is involved, and how much it’s going to cost. Good luck!